Could dust bring the next pandemic as quickly as birds? 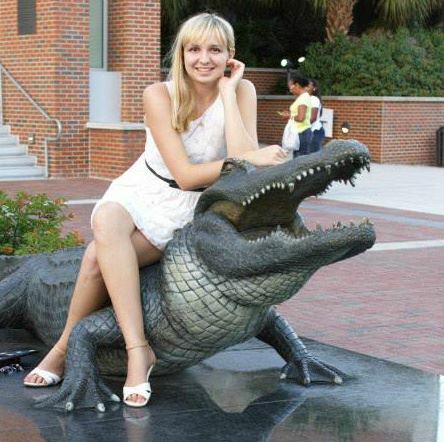 Calli Breil is a master’s student in the science and health communications program at the University of Florida, and is planning to graduate in 2014. Calli is particularly interested in writing about pathogens and disease. Dust and dirt can travel thousands of miles, across oceans, land and just about anywhere the wind can carry them. In fact, 50 million metric tons of dust travel from Africa to Florida every August and September. The common equivalent to 50 million metric tons is 100 empire state buildings! So, we get a lot of dust from Africa, who cares? Well, if we aren’t going to worry about the potentially toxic dust, perhaps we should worry about the microorganisms that cling on to dust particles for a free trip. Although not equivocally proven, there have been theories that the foot-and-mouth outbreak in England in 2001 could have been caused from these dust plumes. Why could it have been the dust plumes? Well, that year there happened to be an extraordinary amount of dust (that could potentially carry disease) traveling to northern England. Why couldn’t it just have been a normal outbreak of the disease? England hadn’t seen the disease for years. The outbreak also happened to break out ten days after the dust plumes hit – the exact incubation period for the infection. If you doubt how troublesome the outbreak was, just know that it cost $1 billion dollars to slaughter the animals that were (or could have been) infected, as well as the massive amounts of revenue lost. The risk is no laughing matter. Topsoil across the globe can carry millions of bacteria, hundreds of thousands of fungi, and millions of viruses per gram of soil. Once this soil is tossed into the air, it is like a salad of potential harm. After all, about 50 percent of childhood diseases are respiratory (Griffin, 2007). Some argue (and they would be right) that we don’t actually know if these dust plumes cause disease. It is highly speculative, because there is no concrete evidence that ties the dust plumes to a disease outbreak – just very strong correlations. But others have been much more… direct… about their conclusions. The same article brings up the fair point that scientists are now believing there is a link between dust and influenza, Sars, foot-and-mouth (as I have mentioned above) and other respiratory diseases. Fortunately, new research is trying to find what other diseases could be transmitted through dust plumes. For example, Andrew Schuerger’s DART (Dust at Altitude Recovery Technology) has helped find that pathogens responsible for problems in wheat, cacao beans, elm, flower and fruit rots and nail infections diseases are all found in these dust plumes. In fact, some pathogens that are seen in pulmonary infections are also found in dust. After all, there are tons of pathogens all around us. But not all of them are dangerous. The point is that these dust plumes could be responsible for many outbreaks that we haven’t discovered the cause of, such as the foot-and-mouth outbreak in England. And we won’t know until scientists, like Schuerger at the University of Florida, find out what the real risk is to us, our communities and our industries. Special thanks to Andrew Schuerger, who works in the plant pathogens department at the University of Florida, for sparing time to talk at the Science Writers Conference 2013.